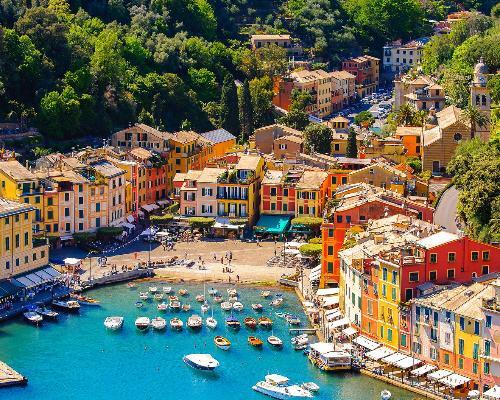 Portofino is an Italian fishing village and vacation resort famous for its picturesque harbour and historical association with celebrity and artistic visitors. It is a comune located in the province of Genoa on the Italian Riviera. The town is clustered around its small harbour, and is known for the colourfully painted buildings that line the shore. 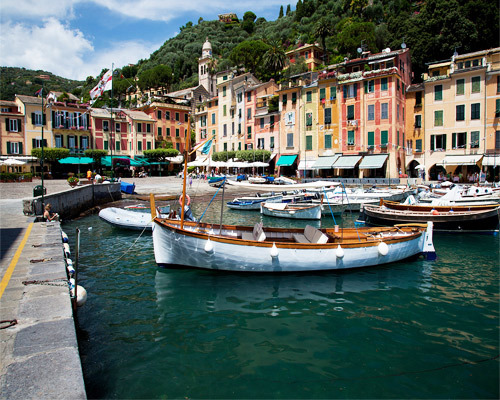 Nearby beaches include Paraggi, Camogli, Chiavari, Lavagna, and Sestri Levante. There are some notable attractions as well are the beaches, but the view from the harbor or any of the surrounding beaches is unforgettable and one could spend the entire day marveling at it.